Here’s one more photo of the Palm Warbler, which was the subject of my longer post yesterday. He strikes an interesting pose here. Any help with the caption? 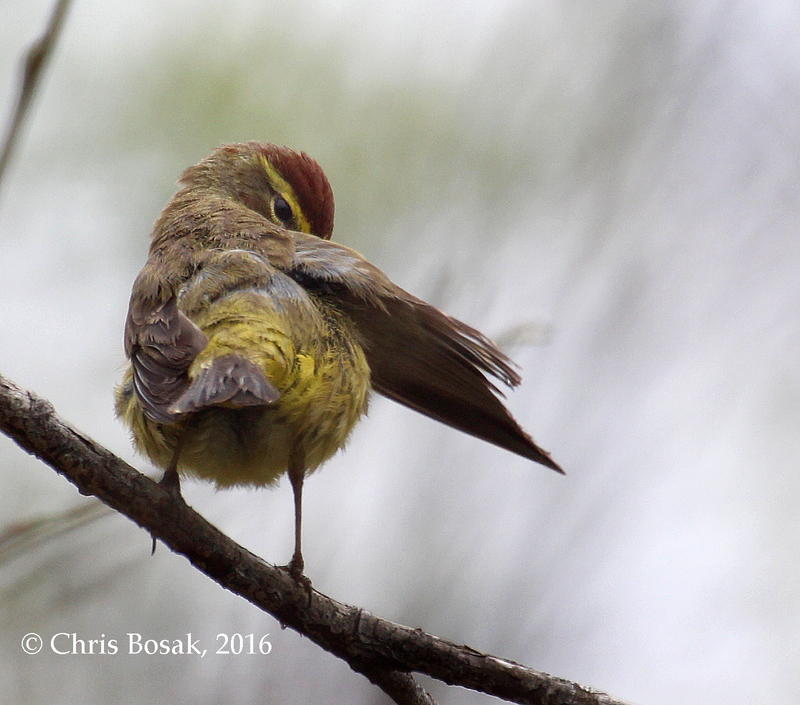 This entry was posted in Uncategorized, Warblers and tagged palm warbler by Chris Bosak. Bookmark the permalink.